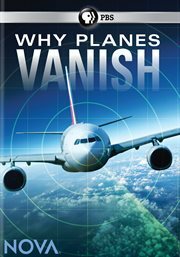 The item Why planes vanish, (electronic resource) represents a specific, individual, material embodiment of a distinct intellectual or artistic creation found in Kent District Library. The disappearance of Flight MH370 stunned the world. In an era of smart-phones and GPS, how could a 270-ton passenger jet vanish into thin air? It was a rude awakening for all of us, showing just how far we are from the world we imagined we lived in-in which every move is monitored all the time. NOVA tells the inside story of the search for Flight MH370 and meets the key players from all corners of the globe who have spent months searching for the lost plane. How easy is it to make a plane disappear? Or can new technology guarantee that in the future, nothing will ever be 'lost' again?